This place amazed me. 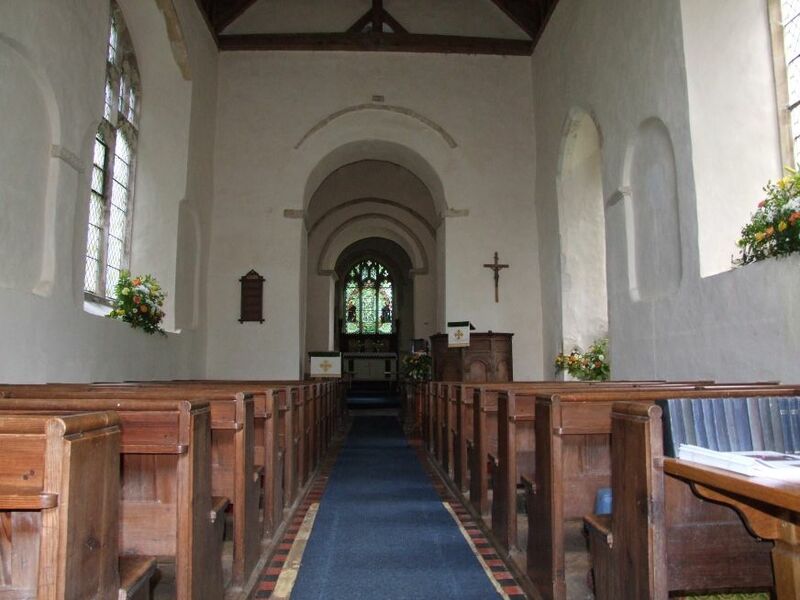 Not least, because when I first came here I had just completed visiting every Suffolk church. One of the consequences of Suffolk's wealth throughout the later middle ages is that so much was rebuilt. 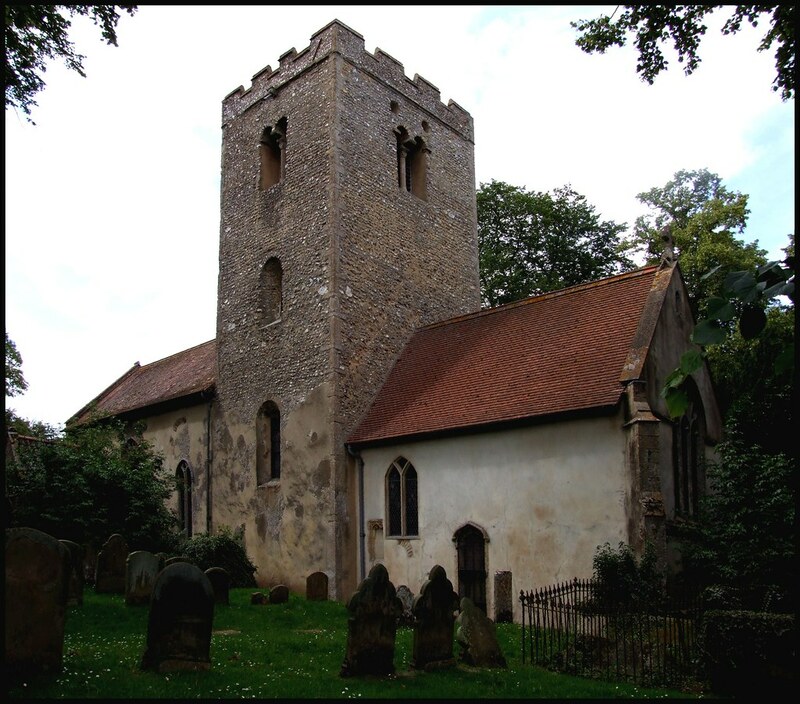 St Andrew is an almost entirely Saxon church, and being so there are more Saxon survivals in this one building than in Suffolk's 500 or so medieval churches put together. Because of this, you enter a building that was a Catholic church for as long before the Reformation as it has been an Anglican one since - an extraordinary thought. There was a brief moment of excitement before we even arrived, when a member of our party became involved in an altercation with a local, a sour-faced old prune who seemed to resent cars being parked on the verge near her gateway. "Will you move that bloody car!" she screamed at mild-mannered Adrian. Peaceably, with upturned hands, he told her the truth - it wasn't his car. This did nothing to appease her, and she went on ranting, raving and generally making our introduction to this otherwise lovely village as unpleasant as possible. In fact, the car didn't belong to any of us. I expect it was some other villager, fed up with prune-face, doing it deliberately to annoy her. You could understand why. 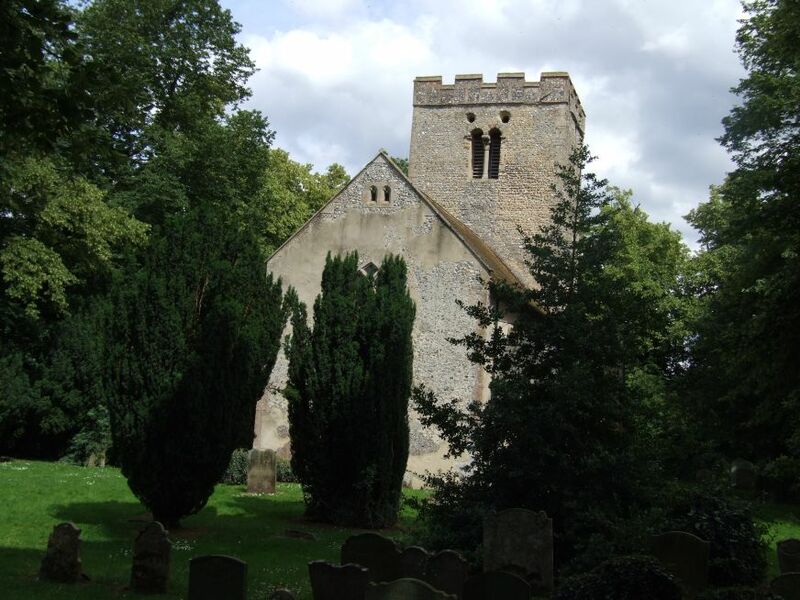 St Andrew sits in a long, narrow graveyard, and from the main road looks entirely Saxon, apart from the later west window; in fact, the chancel and porch are 15th century, but the central tower and nave are all pre-Conquest, apart from repairs. The massive tower has seeply set arched windows and those glorious double impost (is that what they're called?) bell windows. 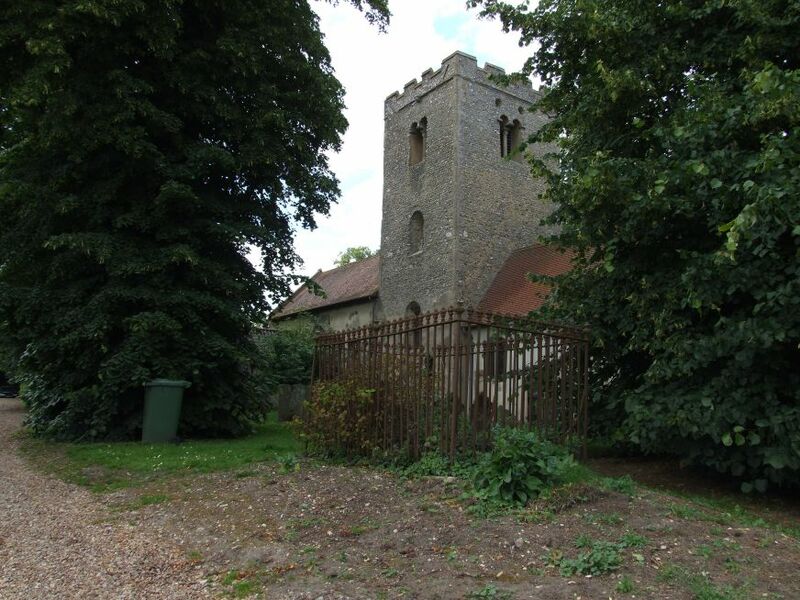 The west end of the nave facing the road has an ancient triangular-headed doorway, looking like nothing so much as a sentry box as the entrance itself is now blocked, probably by the 15th century vandals who punched the huge windows into the nave. You get a sense of two very different mindsets as you stand inside at the west end looking east. 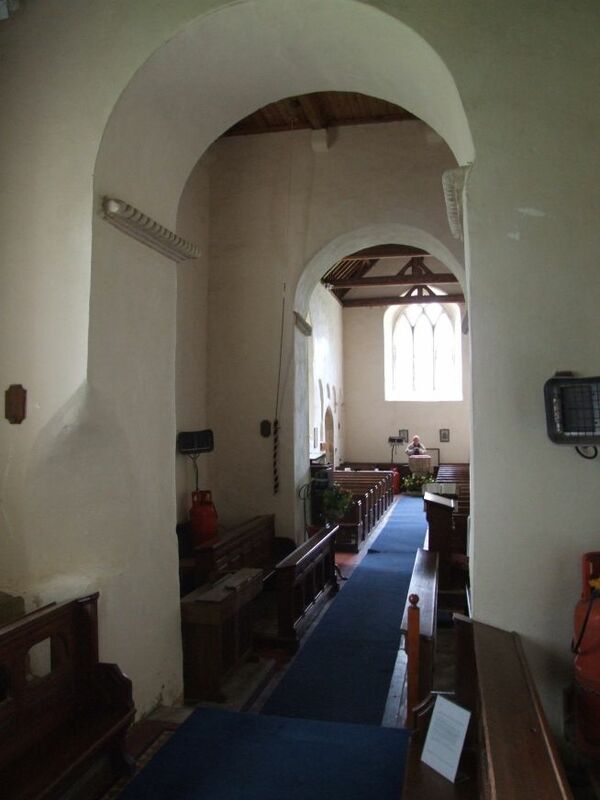 The space beneath the tower with its massive Saxon arches is primitive. 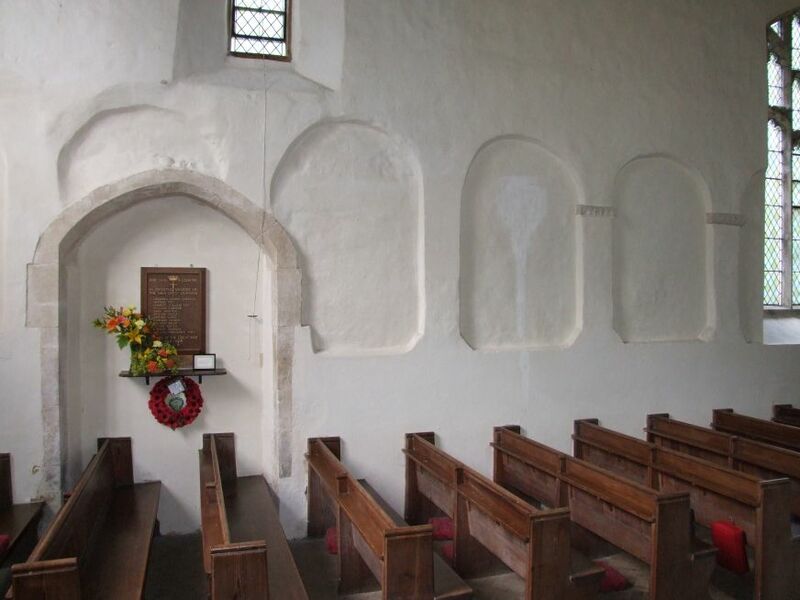 Beyond, the delicate chancel seems centuries away, which of course it is. The nave is unnecessarily flooded with light from late medieval windows, but still we know we are centuries ago here. The 19th century restoration was restrained and seemly, and the one concession to modernity is an excellent east window depicting the Risen Christ in Triumph, flanked by Abraham and Isaac on one side, St Andrew on the other. We are used to thinking of these buildings undergoing a change of use in the mid-16th century when Catholic England was reformed into Anglicanism. In fact, another development had occured a century or so earlier that had an affect on the way the building was furnished and used, and the way we see it now. As part of the process of reinforcing orthodox Catholic doctrine in the face of local superstitions, there was a change of emphasis from private devotions to an act of corporate worship that reached its height in the 15th century. As well as illustrations depicting sacraments and catechetical tools being placed on fonts and in windows, naves were benched, the great roods erected, pulpits were installed which allowed the Priest a hierarchical presence among the people, and huge windows and clerestories were put in place to light all this up. Often, these are the most beautiful medieval survivals in any old church, but here the windows destroyed parts of one of the most amazing sets of blank arcades in East Anglia. 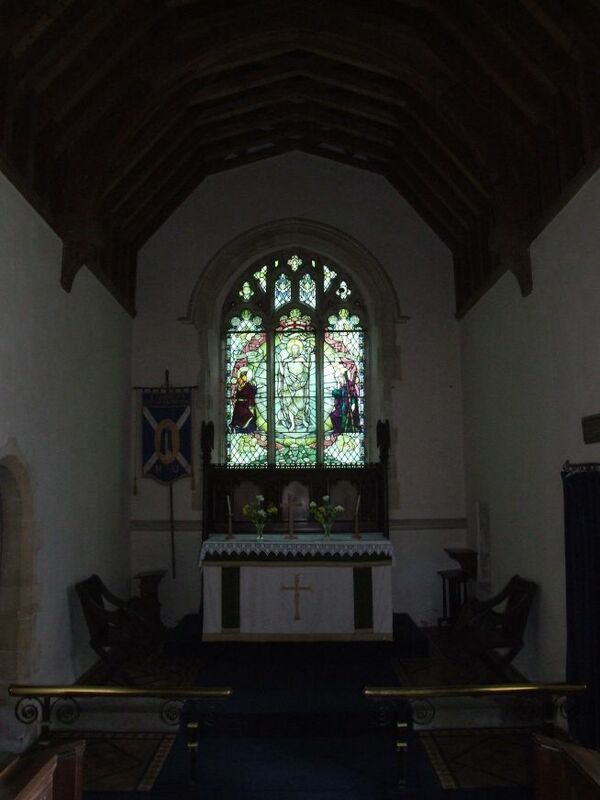 The feel of a Saxon church is quite different to that of a late medieval one. Perhaps it is just that these things happened so long ago. Or perhaps their timelessness comes from being charged with the presence of all the long generations that have inhabited them since.